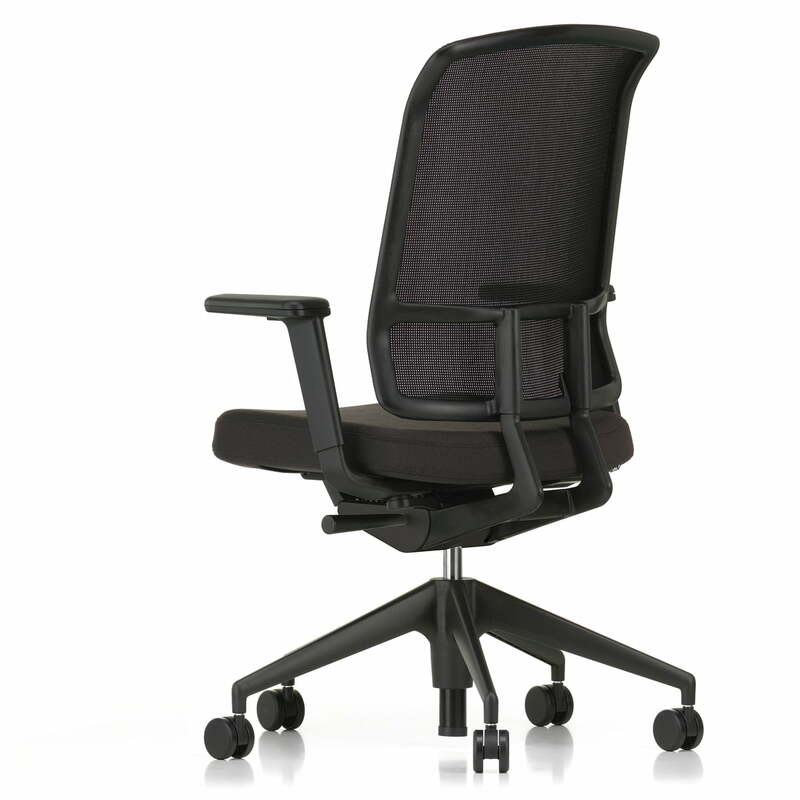 The AM Chair by Vitra is a design office chair, created by Alberto Meda. 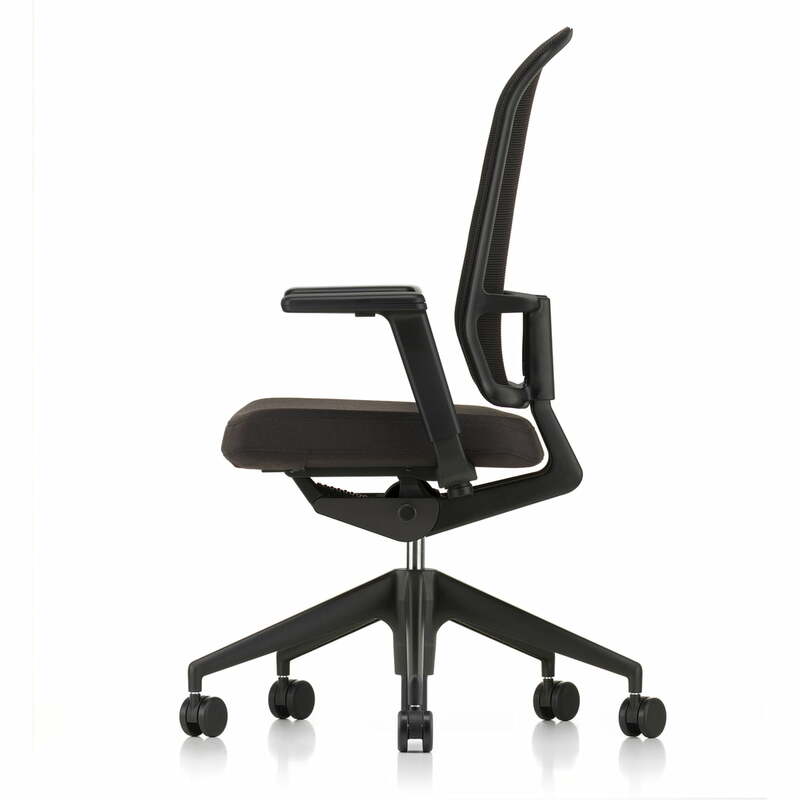 It convinces with its ergonomic shape as well as its stylish elegance. The Chair consists of a plastic frame, a backrest with a transparent mesh cover, a padded fabric seat and a star-shaped frame with five wheels. 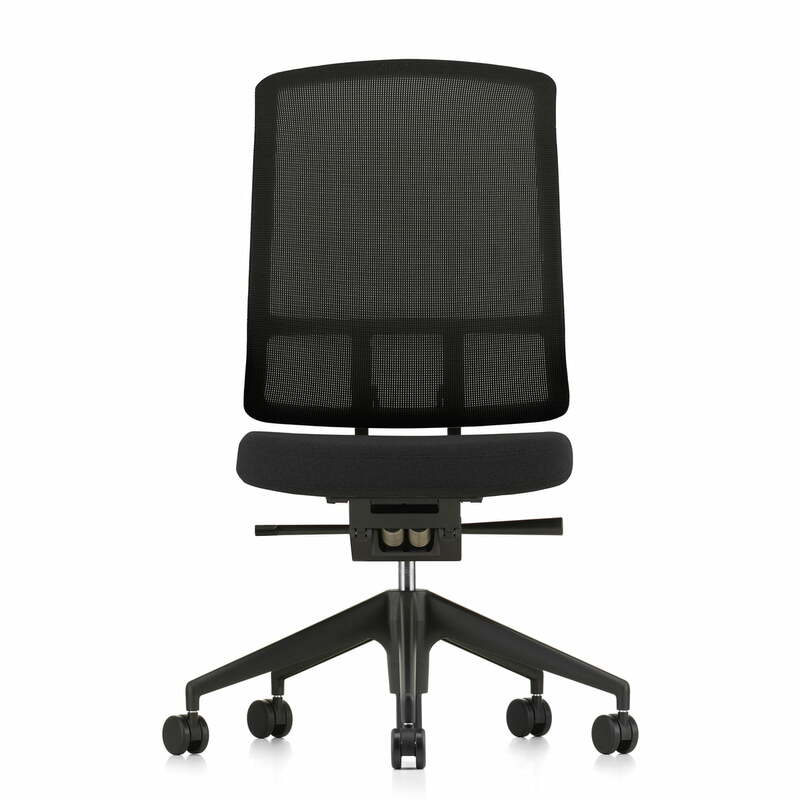 Thanks to the dynamic armrests and the height-adjustable back, the chair adapts perfectly to every body and offers high comfort. All settings are made intuitively, which is why the chair is suitable not only for long periods of sitting in a fixed workplace, but also for different users. 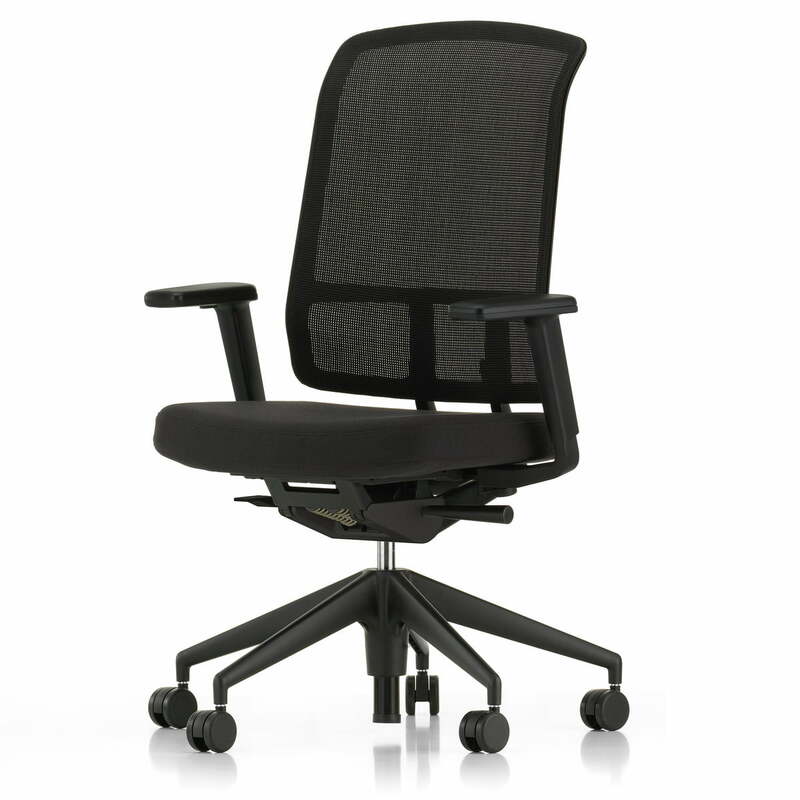 The AM chair by Vitra is available in different versions with fabric covers of different colors. The AM Chair without armrests by Alberto Meda for Vitra with a black back, F30 Plano Nero seat and a five-star plastic base in black. The Chair consists of a plastic frame, a backrest with a transparent mesh cover, a padded fabric seat and a star-shaped frame with five wheels. Thanks to the dynamic armrests and the height-adjustable back, the chair adapts perfectly to every body and offers high comfort.